Cloth high impact fabric or PU leather as you like. 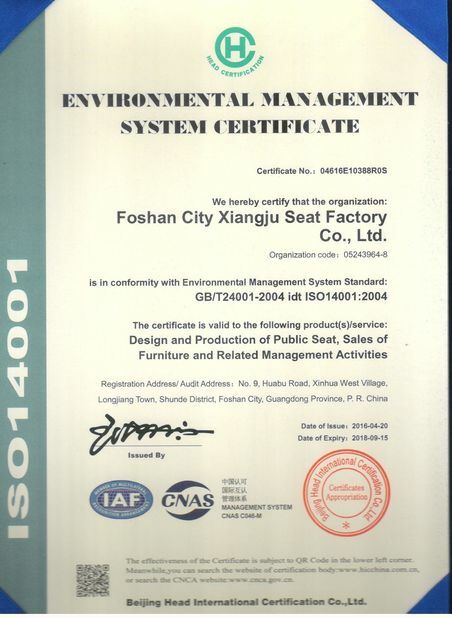 Seat: high density mold foam,in thickness 50-150MM,with density above 55KG/M3. 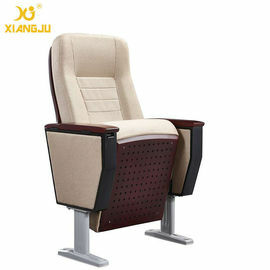 that make the seat comfortable and easily come back also keep the shape longer. 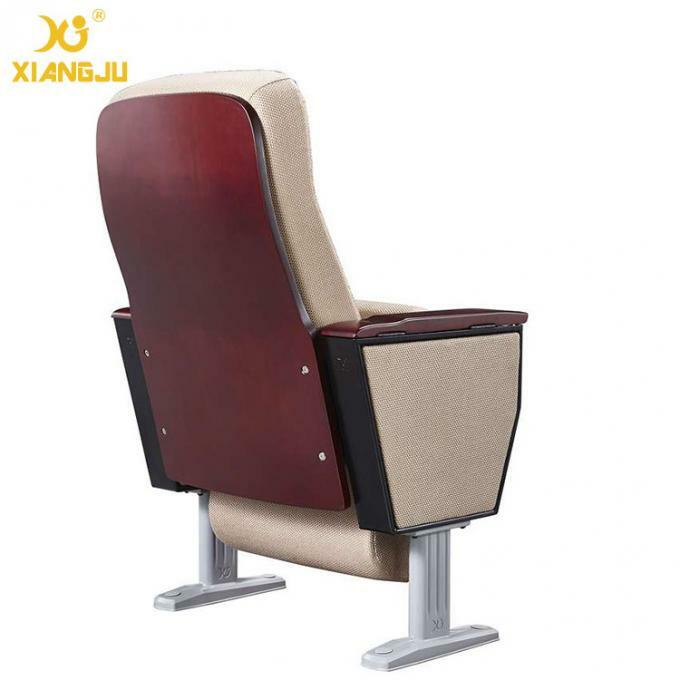 Back: high density cutting foam thickness 20-50MM,this bring your more comfortable feeling to enjoy yourself either you are in meeting or lecture. Wood veneer: Multil-layer bentwood in thickness 15MM. 3mm-5mm more than normal bentwood chair.three color are available,not only keep the shape and the back but also give you max support. 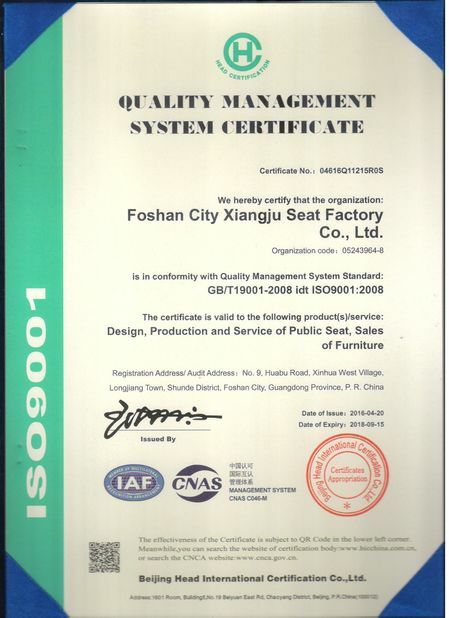 Foot rest: it is made of good-quality cold rolled steel through the stamping and welding. Cloth materials: it adopts the high-grade special cloth material,which is China standard inflaming retarding anti-pollution and anti-fading. 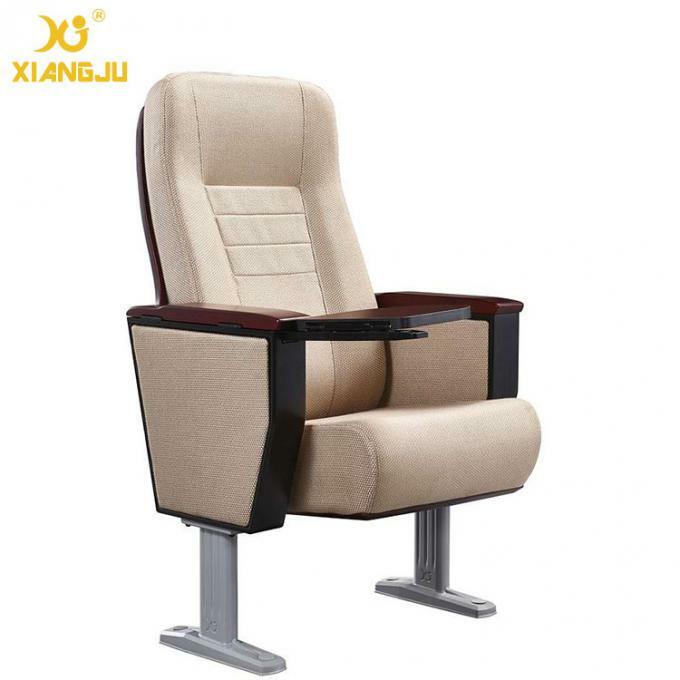 - seat, seat back, row ends and/arm side support should be upholstered in a durable high quality fabric which has a properties of F/R and easy to clean. - Row number, seat number, removable head rest fabric pad. ANormally MOQ is 50 sets. The small order and sample order is acceptable. AYes, better prices with large quantity orders. AYes, can order one set sample first. A Normally 15-20 days for 40HQ container for standard model after receiving deposit. ATT or LC at sight are acceptable. AOEM & ODM Service are provided, sample can be given for evaluating. AQuality is priority. We always pay great attention to quality control from beginning to the end of production. Envery product will be fully assembled and carefully tested before shipping. 1. Quick reply to your enquiry within 24 hours. 2. Experienced staffs help you to sove the problems in fluent English. 3. Specialized engineer draw specific design sketch for your projects. 4. Customized service is available,OEM&ODM,are welcomed. 5. Feedbacks from us during the productive process after you place the order. 6. Professional installation guide or on-site installation after sale.